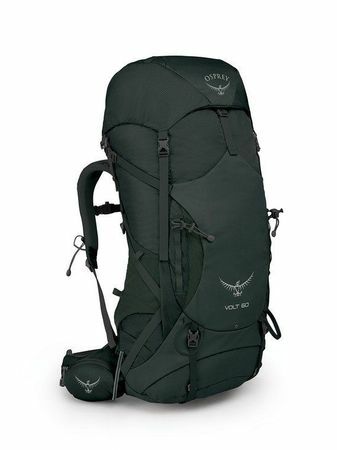 "Classic looking and fully capable, the Volt 60 is ideal for hauling moderate to heavy loads in the backcountry. With 5 inches of torso fine-tuning and expandable Fit-on-the-Fly hipbelt wings, the Volt 60 can accommodate one and all, big and small. The breathable AirScape backpanel offers a snug fit and the LightWire frame transfers heavy loads to the hipbelt for max stability on every type of trail. Quickly store your trekking poles without taking off your pack with the Stow-on-the-Go trekking pole attachment. A zippered sleeping bag compartment provides easy access, removable sleeping pad straps allow for external gear attachment, and a removable integrated raincover keeps everything dry should the skies open up. Zippered hipbelt pockets keep snacks and other trail essentials within reach. The Volt 60 provides exceptional comfort and function, no matter how seasoned a backpacker you are. Adjustable torso length: 17""/23 cm - 22""/58 cm. 661 in3 / 60 l | 32.9h x 13.6w x 13.0d in. | 4.30 lbs."